As of now, you have used WhatsApp only as a messaging app and that's what it is made for basically. But do you know you can also use it as a search engine by activating a WhatsApp Bot. 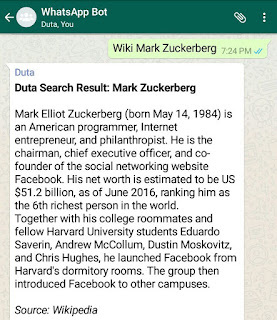 This search engine bot is developed by Duta, an Indian group messenger service which renders information from the web and allows you to access them through WhatsApp. You can get live news updates, search information on Wikipedia, check weather conditions, read random quotes, find some funny jokes, test your GK, and much more. This WhatsApp bot will work as your virtual-assistant. You just have to send a command and it will reply to your query instantly. 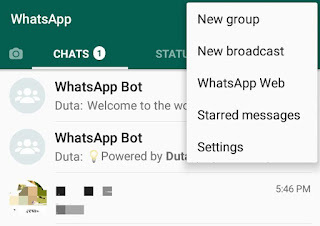 Here in this tutorial, we will discuss on how to activate this search engine service in your WhatsApp messaging app. First of all, get the Duta's phone number from their website (click here) and add it in your phonebook with a suitable name (e.g. Duta). In case if the first number doesn't work, please refer to this help section to get other backup numbers. Now open WhatsApp and add this new number in any WhatsApp group. If you want to create a new group, tap the menu button (three dots at the top-right corner of the screen) and click "New group" option. Now add the newly created contact to this group. You can also add your friends and family members. 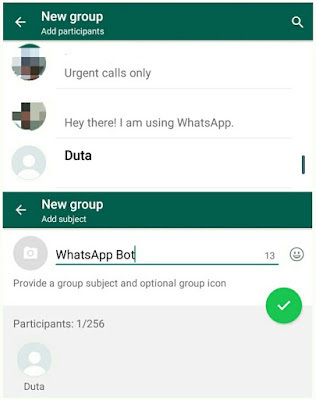 In the next screen, give a suitable name to the group like WhatsApp Search Engine Bot. Duta collects information from various websites and Wikipedia is also one of the them. You can search Wikipedia information on WhatsApp by using a search operator named Wiki. Simply type Wiki [search term here] and send it to the WhatsApp group. For more operators and information, you can visit Duta website. 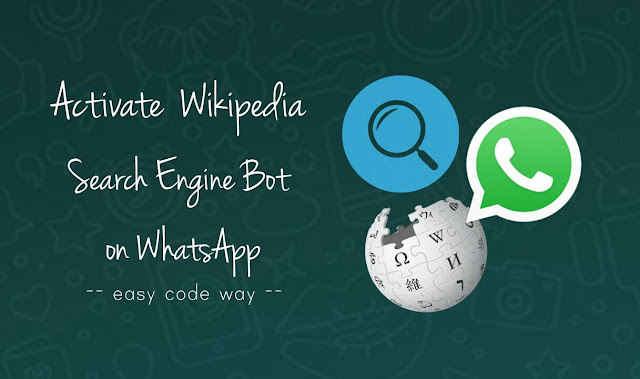 Note: This Duta service to activate search engine bot in WhatsApp isn't endorsed or associated with WhatsApp and Wikipedia officially. If you want to ask something, feel free to share it in the below comment box.